Pole bardzo dobrze wtopione w otaczającą przyrodę jeszcze nie tak bardzo skażoną cywilizacją. Gra na tym polu pozostawia miłe wrażenie. Maryjusz. Wspaniały projekt, wspaniała realizacja , wspaniałe otoczenie , naj naj najlepsze pole golfowe w POLSCE! Jakość pola odpowiada aktualnej pogodzie. 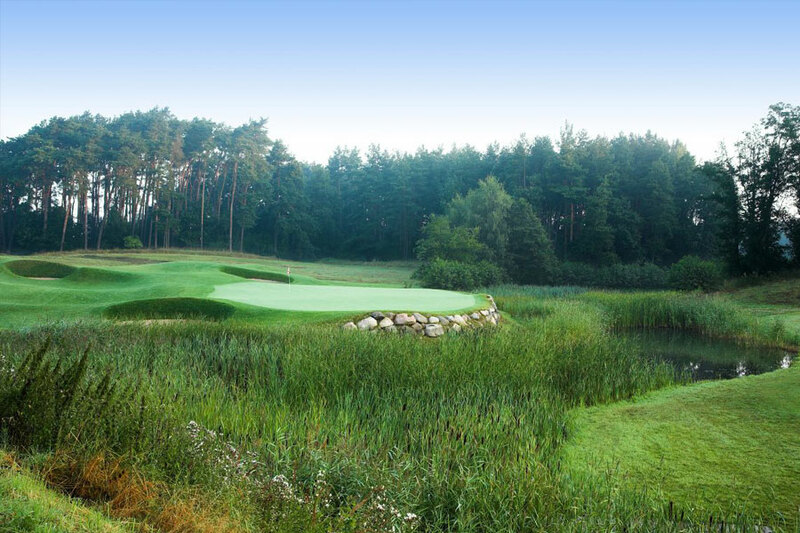 the legendary Gary Player, the course quickly became recognised as Poland’s most beautiful layout with Player describing it as “a classy golf course carved in a beautiful, natural landscape with mature pine forests, spring fed lakes and fields of wildflowers – just an incredible setting”. 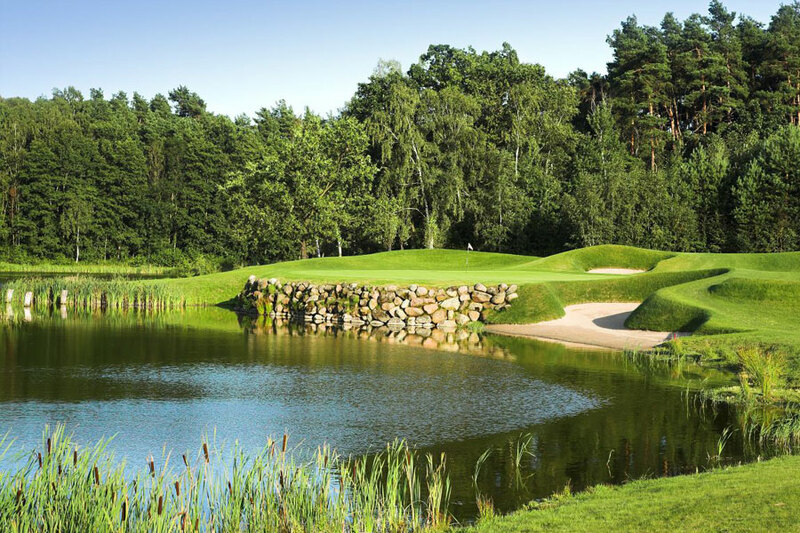 The course he designed is set in a landscape surrounded by two tranquil lakes ensuring water comes into play on most holes. 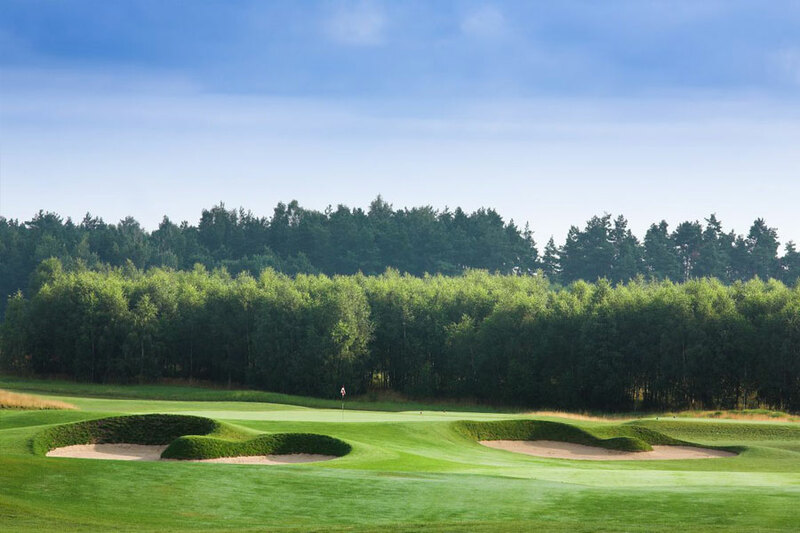 It is a place of rare natural beauty with a memorable layout that includes deep, steep-faced bunkers and smooth-running greens. 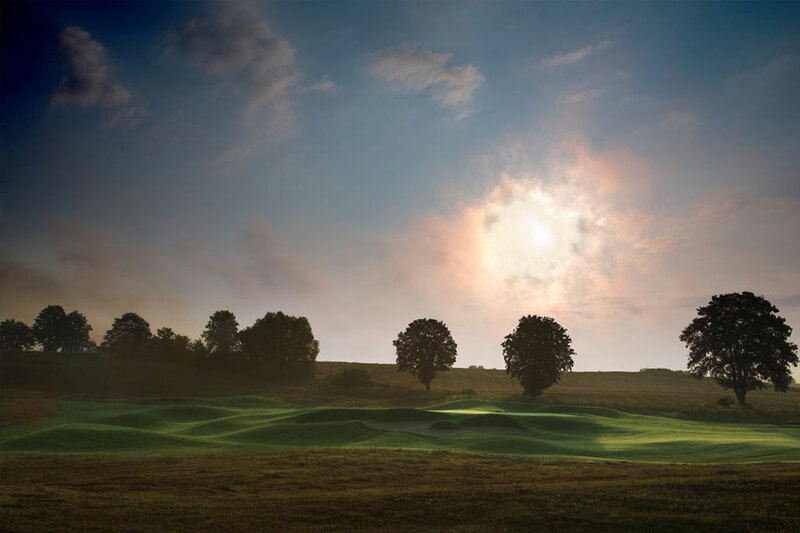 Modry Las Golf Club and Resort was conceived as a contemporary living community with sporting endeavour at its heart. 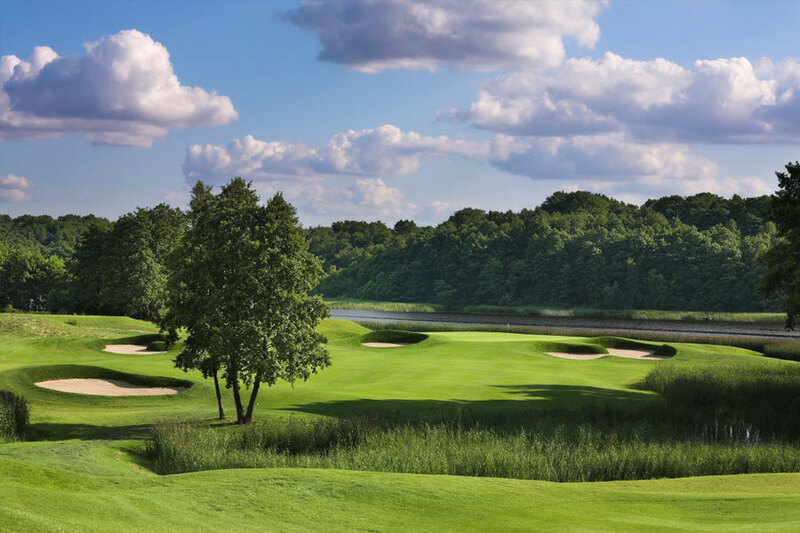 With the West Pomeranian countryside providing a naturally stunning backdrop, the vision was to create a unique and unspoilt retreat that protects its environment while offering leisure, seclusion and a balanced lifestyle. 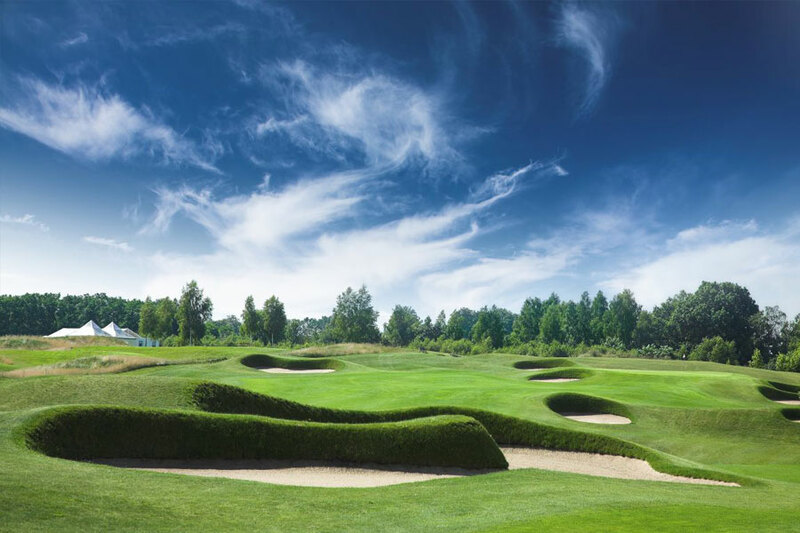 The 18-hole championship course was opened by Player in 2009 and since then has been developed into a welcoming leisure resort built around the philosophy that natural beauty and sport make the best of partners. Modry Las has established itself as an international resort with a sought-after residential offering..